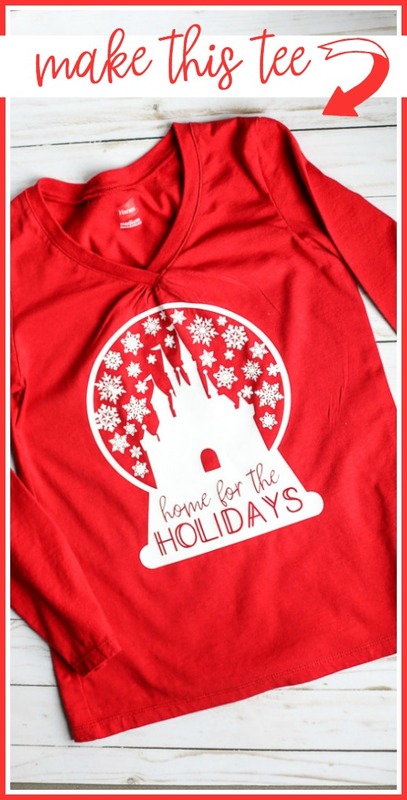 Home » crafts » Disney Holiday Gift Idea – vacation giveaway! 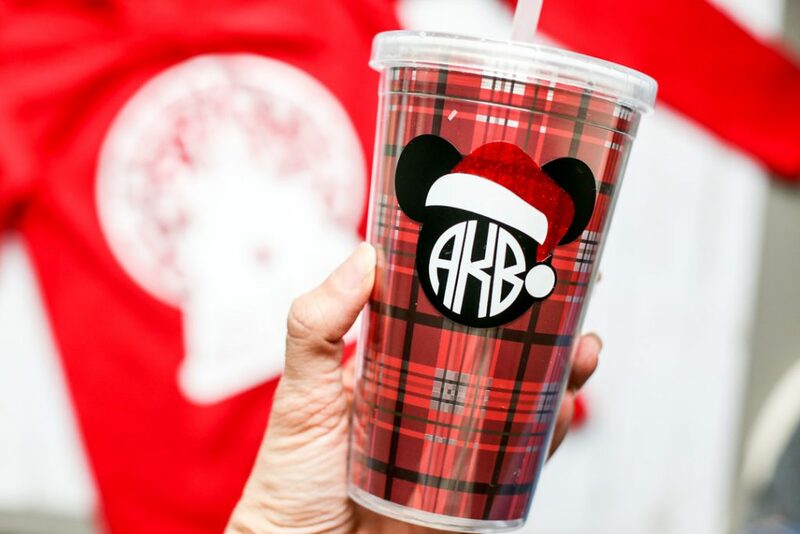 I know lots of you might head toSouthern California or anything Disney for the holidays – so wouldn’t this be an awesome gift idea for that?? OR even if you stay home, because it’s just so cute!! 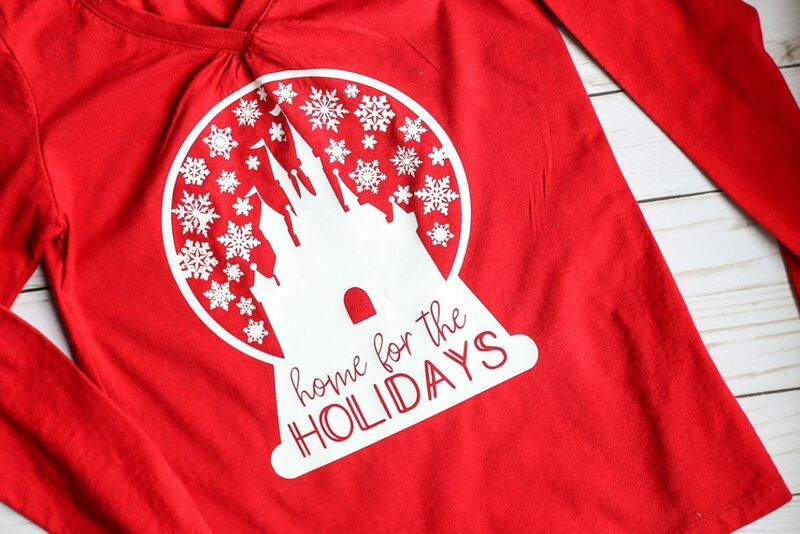 Love how this Disney Holiday Gift Idea came out. 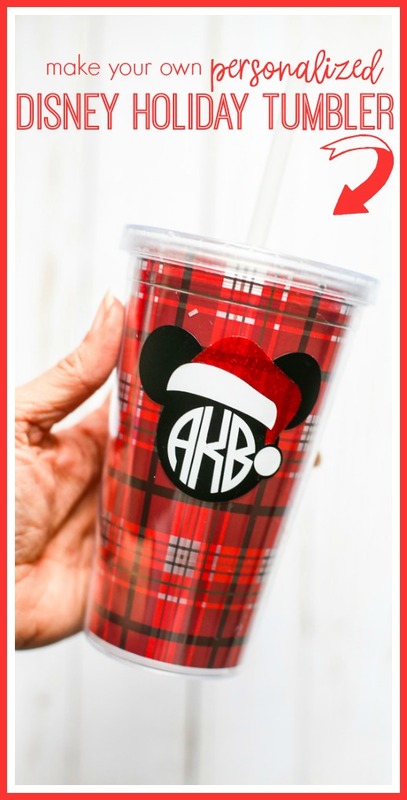 AND, there’s a VACATION GIVEAWAY on this post, on down, that you won’t want to miss!! It’s a DIY project, so I’ve got the details on how to make one for yourself. This post may contain affiliate links. Do you have a favorite? 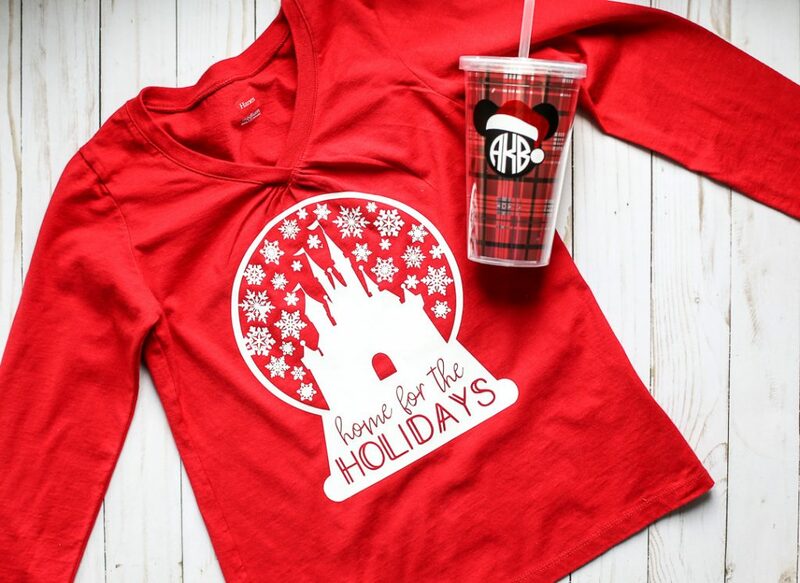 I can’t decide, tumbler or tee! They both turned out so good! For both projects I used my Silhouette Cameo cutting machine – my favorite craft tool! !